Touring Spain's wine country is sure to make for a fantastic travel experience, especially when visiting such beautiful landscapes as can be found around the towns of Ronda and Arriate. 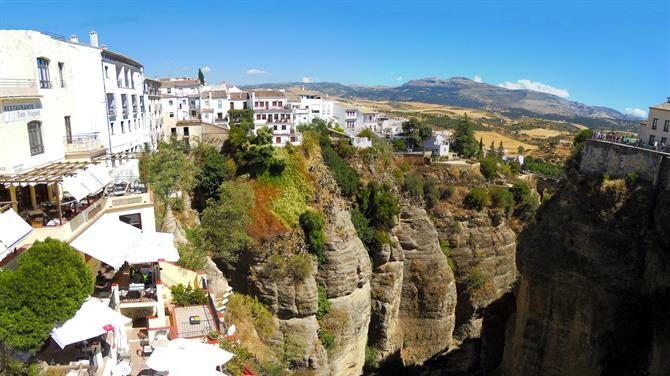 In the southern Spanish region of Andalusia, a wine route known as Serranía de Ronda will have you passing through astounding landscapes, tasting wine in beautiful bodegas, and strolling the charming streets of Ronda's historical centre. A haven for Romantics in the 19th century, the Ronda of today holds a special place in the hearts of wine lovers the world over who feel an irresistible draw to its rich gastronomical delights. Not lacking for historical and architectural significance either, the city is a great place to start when planning your Andalusian itinerary. Incredible countryside views and an abundance of small family-run boutique wineries are located nearby, and when the fields come to life in September, rentals in Ronda are the prime locations to experience the magic of the harvest season. Wine tourism across the globe is clearly on the rise. According to a recent study carried out in the United States, Belgium, Germany and the Netherlands, a staggering 82 million people plan to include a wine activity during their next holiday and over 14 million defined themselves as ‘wine tourists’. Throughout certain regions of Spain, wine tourism, also known as enotourism or vinitourism, is an increasingly popular choice among travellers. The fact is hardly surprising when you take into account that Spain has the world's largest land area dedicated to vineyard cultivation and is a global leader in wine production. An incredible array of fantastic destinations are waiting to be explored including noteworthy wine regions such as La Rioja, Navarra, Ribera del Duero, Valdepeñas, and Jerez. The Serranía de Ronda is one of the latest additions to the official wine routes found throughout the country, and its future is looking very promising. With wines from the area being valued with increasing regard both locally and internationally, the region of Ronda is well worth being labelled a first class destination for enotourism. Indeed, the entire province of Málaga surrounding it can be considered a real paradise among those looking for a great combination of flavourful spirits and stunning Andalusian landscapes. To witness the development of the area's burgeoning wine industry up close, you might consider booking your holiday in a villa along the Costa del Sol. Despite its recent rise as a popular enotourism destination, the region's historical ties to the intoxicating drink date back thousands of years. Much of what is known about ancient wine making in the region comes from archaeological findings out of the nearby Roman city of Acinipo. 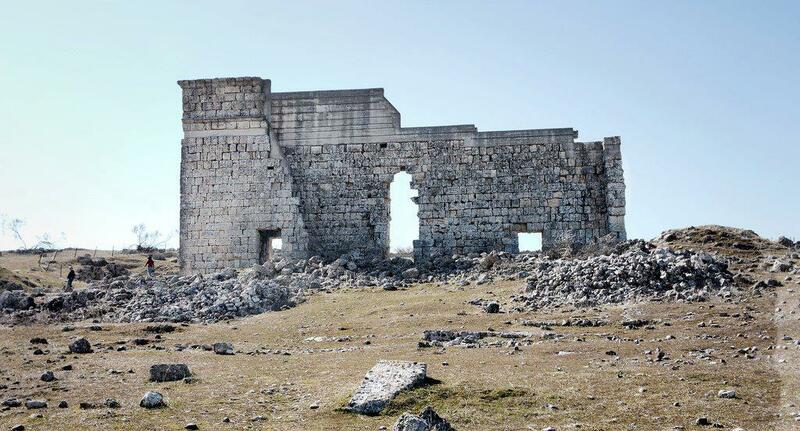 Aptly named, Acinipo actually translates to 'city of wine', and it was one of the few cities in the Roman Empire that produced wine which was then exported back to Rome. Vineyards once cultivated by the Romans, Phoenicians and Moors still line the countryside to this day and make a perfect place to spend a Spanish holiday. Here, you'll find rural accommodations outside Ronda overlooking truly splendid countryside scenes. 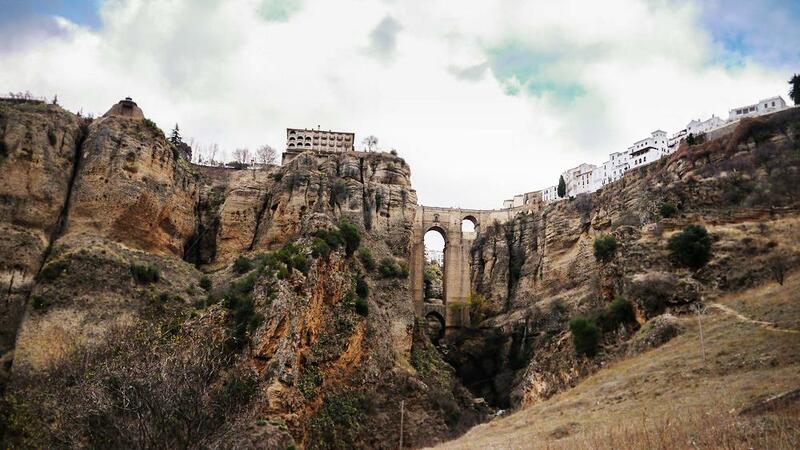 "I have sought everywhere the city of my dreams and I have finally found it in Ronda"
Ronda's proximity to the Mediterranean Sea, its unique micro-climate and geological diversity give wines of the region very distinct aromas and flavours. Locally produced wines are bottled under the DOs, or Designations of Origin, of Málaga and Sierras de Málaga. Most of the wineries are situated in the surrounding countryside, but it's also highly recommended to visit Ronda's historic city centre, where you can stroll along the wonderful streets and step into a variety of warm and welcoming bodegas to sample the local fare. Visiting any time throughout the year can prove to be an incredible experience and while each season does have its own charms, September will likely be the most magical for wine enthusiasts. The annual harvests get underway around that time and the fields come alive with day labourers rushing to pick the ripened fruit. A 'harvest atmosphere' fills the air and an intoxicating sense of joy mimics the intensity of smells and colours found throughout. The suitability of Ronda as a wine growing region is plain to see by looking at the pedigree of people who've invested in the local industry. Such notable personas include the Prince of Hohenlohe and Marqués de Griñón, as well as renowned viticulturists Juan Manuel Vetas, Frederick Schatz and Matin Kieninger. The land around Ronda has something akin to a super power that allows its fields to support cultivation of a very diverse range of grape varieties. Throughout the region you can find Merlot, Cabernet Franc, Pinot Noir, Syrah, Tempranillo and Garnacha growing in abundance. Visitors here are surrounded by some of Spain's most amazing natural parks, the Sierra de Grazalema, Sierra de las Nieves and Alcornocales. A good location from which to explore all the breathtaking scenery would be a holiday rental in Málaga. Around an hour's drive from the vineyards, you'll also be close to a wide selection of other activities including the city's wine museum, Museo del Vino. 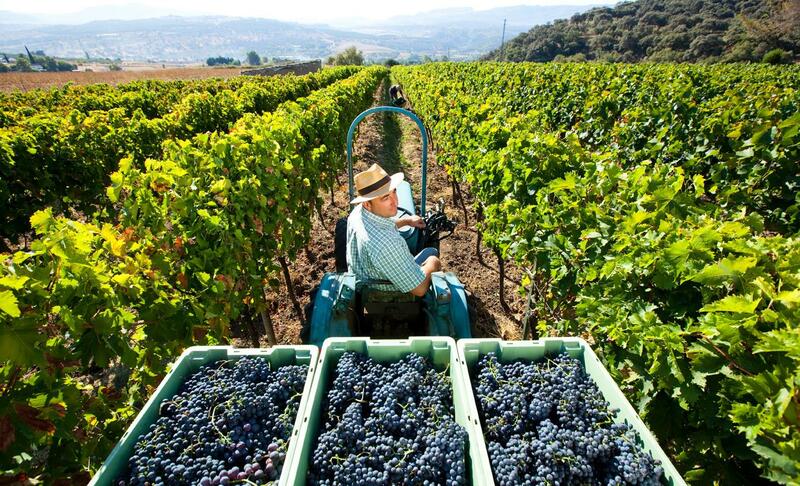 At the time of writing, the Serranía de Ronda wine route encompasses the municipalities of Ronda and Arriate, and boasts a total of 21 wineries. In the following section, we shine a light on the local businesses which have branched out in favour of wine tourism. 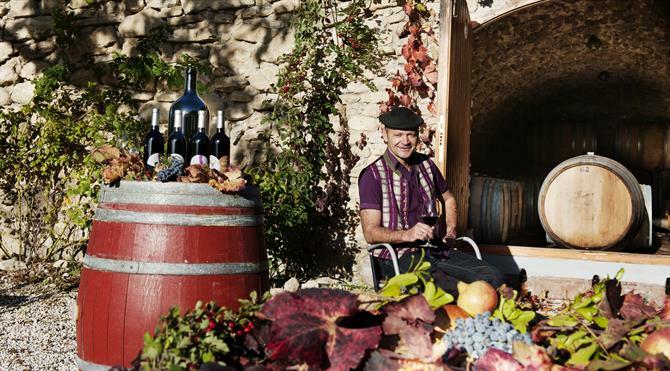 The wineries welcoming in guests to experience their wonderful creations, through great tours and tastings, have made their way into this article. In addition, you'll also find all the relevant information needed to successfully pay them a visit. This beautiful boutique winery, whose façade proudly displays the name given to its wine, is located in the area known as Ronda La Vieja, close to the Roman city of Acinipo. A family business founded by Gema Alonso and her husband José María Losantos, it is one of the most well known, both in Ronda and wider afield, as well as one of the first wineries to open its doors to the public. With very careful attention to the vineyards and the use of the latest technology in the production of its wines, Bodegas Chinchilla consistently set the standards for the Andalusian wine scene. Guided tours of the facilities describing all the processes of production and ageing of the wines. The tours all finish with a tasting of three wines and pairing with tapas. Undoubtedly, one of the most charming wineries of Andalusia, and one of the most visited due to its historic appeal, Descalzos Viejos is definitely a recommended stop along any route through the region. Formerly a convent before being converted into a bodega, the building alone is a worthwhile attraction. The Salesi and Retamero families purchased the property back in 1998 and set about restoring the fabulous structure. 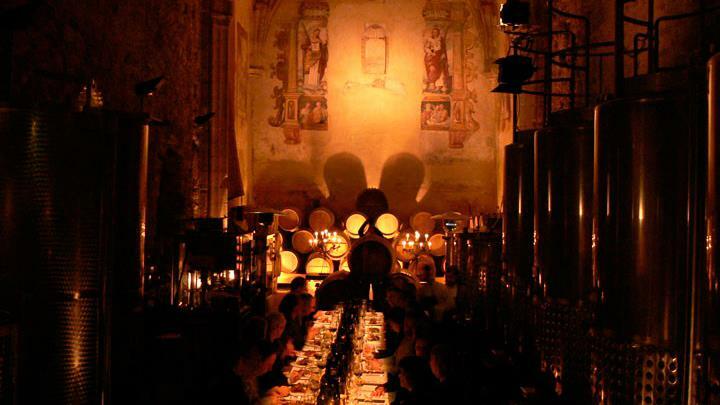 Upon converting the estate into a winery, they managed to breathe new life into the building, which is so richly steeped in history. 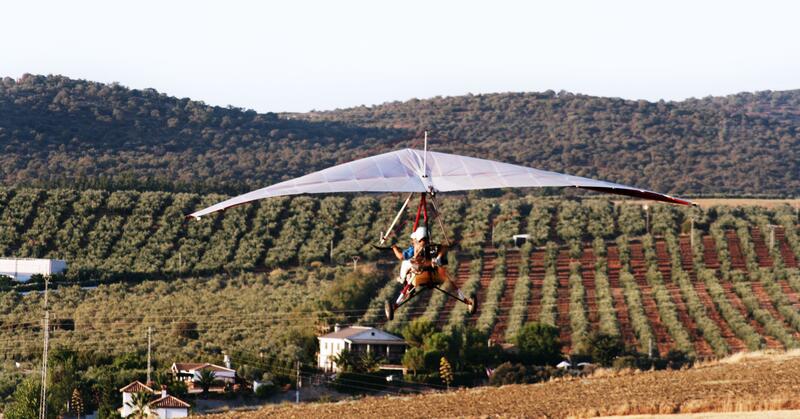 An added delight are their vineyards, located in the Tajo de Ronda, which offer absolutely astounding views. Winemaker, Vincent Ina, is responsible for coordinating the work that gives the wines their special and distinctive characteristics. Unlike many wineries, Descalzos Viejos has no set hours or scheduled tours and everything is done on demand. They welcome individuals, couples, and groups of up to 30 people on special request. Of all the nearby boutique wineries, Bodegas Vetas might be the most alluring, and it's also the smallest in all of Andalusia. Juan Manuel Vetas with his wife Maria Elena produce and market highly respected wines. Bearing the surname of the founder, these vinos are widely acclaimed as some of the best in the south of Spain. 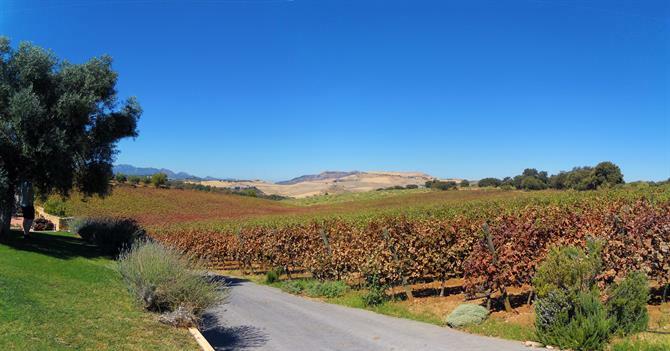 On just a couple acres of land and with very low yields, Vegas crafts two treasures, the 100% Petit Verdot and his very own, and very irresistible, Vetas Selection. Wine Tasting Accompanied by Juan Vetas. 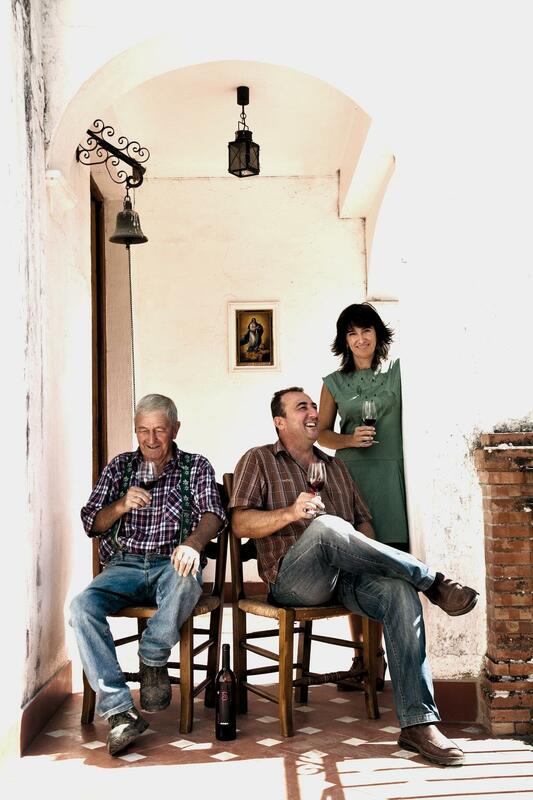 bodegavetas.com Camino Nador "El Baco"
Frederic Schatz, Juan Manuel Vetas, Prince of Hohenlohe and Marqués de Griñón are often regarded as the brave visionaries who ventured into Ronda winemaking. Frederic Schatz, whose family is originally from northern Italy, knew from a very young age that he wanted to pursue a viticulturist's life and in 1982 he found the perfect plot of land to realize his dreams, Ronda. The small family-run winery is situated near a cluster of other similar operations close to the Roman city of Acinipo, and the bodega carries the same name as the area in which it's located, Finca la Sanguijue. Practicing organic and biodynamic agriculture, F. Schatz produces several distinctive wines. Another expatriated winemaker setting roots in Ronda is Martin Kieninger who originally hails from Ried, Austria. Moving to the area in 1998 and drawing upon his long history of wine production, he set to work immediately to get his operation going. At the turn of the millennium, his project took shape with the planting of 4000 Austrian strains. In his vineyards, varieties such as Blaufraenkisch and Zweigelt supply fruit for wines which are not typical to the area. The Austrian plantings are also complimented by other Spanish and French varieties. With complete respect for the land and for traditional production methods, the winery operates on a philosophy founded in organic and biodynamic agriculture. In addition to the outstanding bodegas and wine tours, the area around Ronda also boasts an incredible array of recreational and cultural activities sure to fill in the gaps on any Andalusian adventure. If a passion for wine tourism and rural getaways piques your interest then you'll love exploring the Cava Route in Catalonia.